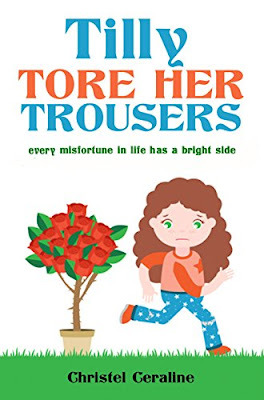 Tilly Tore Her Trousers by Christel Ceraline is an illustrated book that will give your child an important lesson about life and will help them understand that every misfortune in life has a bright side. This children’s book will teach them how to deal with everyday problems so that they can grow into mature and confident adults. The story gives parents the perfect opportunity to discuss with their children about life and boost their self-esteem and their ability to deal with problems in a sensible and mature way. This picture book is perfect for parents to read as a bedtime story or for younger children to read on their own whilst also developing their passion for books and learning. FREE ON KINDLE! 0.00$ TIME LIMITED OFFER! Download & Read!